CooksRecipes has quality, kitchen-tested recipes for diabetic-friendly pudding desserts, including flans, mousses and parfaits, that you can count on for accuracy and deliciousness. 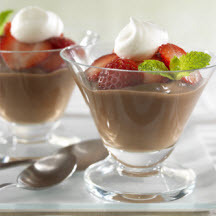 Smooth, creamy, and satisfying chocolate pudding layered with ripe strawberries and a dollop of whipped topping. 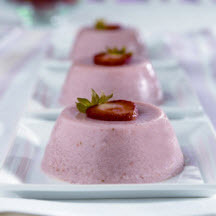 When strawberries are at their flavorful peak, this ultra-creamy dessert shows them off at their best. 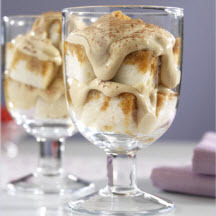 A splendid, reduced calorie twist to the traditional tiramisu dessert.